Joseph Joseph rotating design knife sharpener provides two key features. 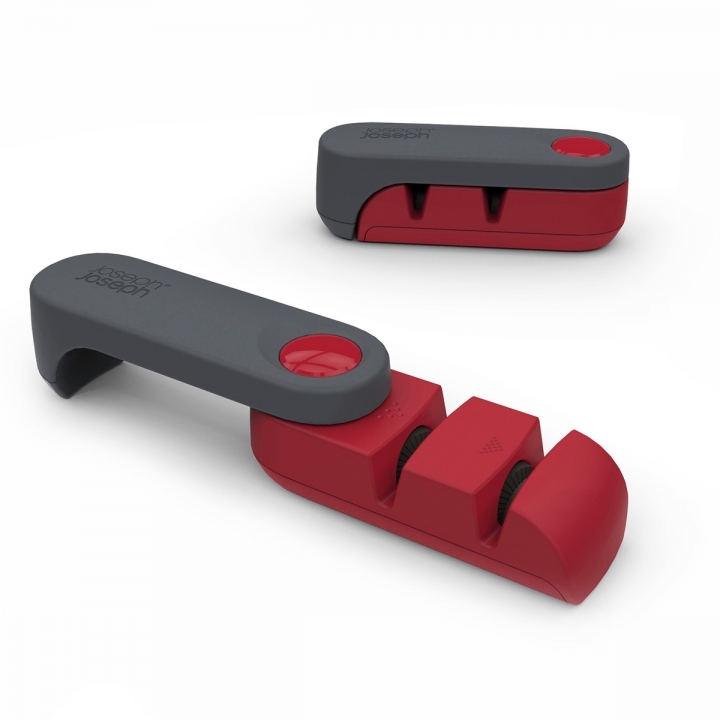 Safe and ergonomic handle to hold when sharpening. After use the handle folds neatly away again, creating a compact unit that stores easily in a drawer.